We also build rock solid, heavy components for larger, custom mills. Pair up our saw husk/cab with a Magnum LP Carriage and Heavy Duty Bar Log Turner to upgrade your current setup. Or just ad a Magnum carriage to your existing bandmill. Add a scanning setworks and you have a dependable grade mill to handle the largest of logs. Cab is mounted on Vibration Absorbing Rubber Cushions. 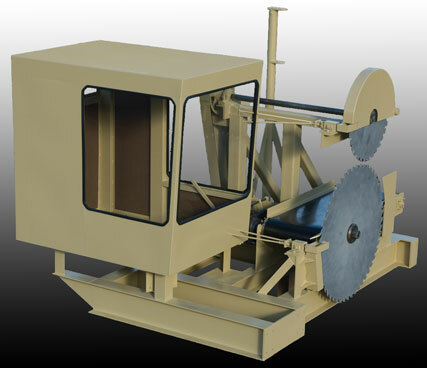 Both main saw guide and top saw guide are adjustable from inside the cab. Controls for log turner, log deck/stop and loader, and setworks can be pre-installed inside cab.